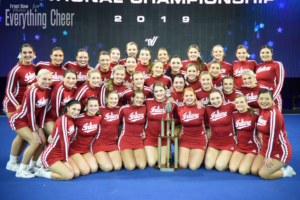 We were on location at the 2019 UCA College National Championship on January 19-20 at Disney’s Wide World of Sports complex to watch the top collegiate cheerleading teams from across the country compete for the title of National Champions. This year’s event featured 137 teams, representing 42 states. View a recap and results from the competition on our News page!